Although I prefer ice cream, somehow my freezer is always full of popsicles. Mostly because vegan ice cream isn’t the cheapest thing to buy at the grocery store. But when I crave something cold and sweet, having a tray of homemade popsicles saves me a trip to the grocery store and money. 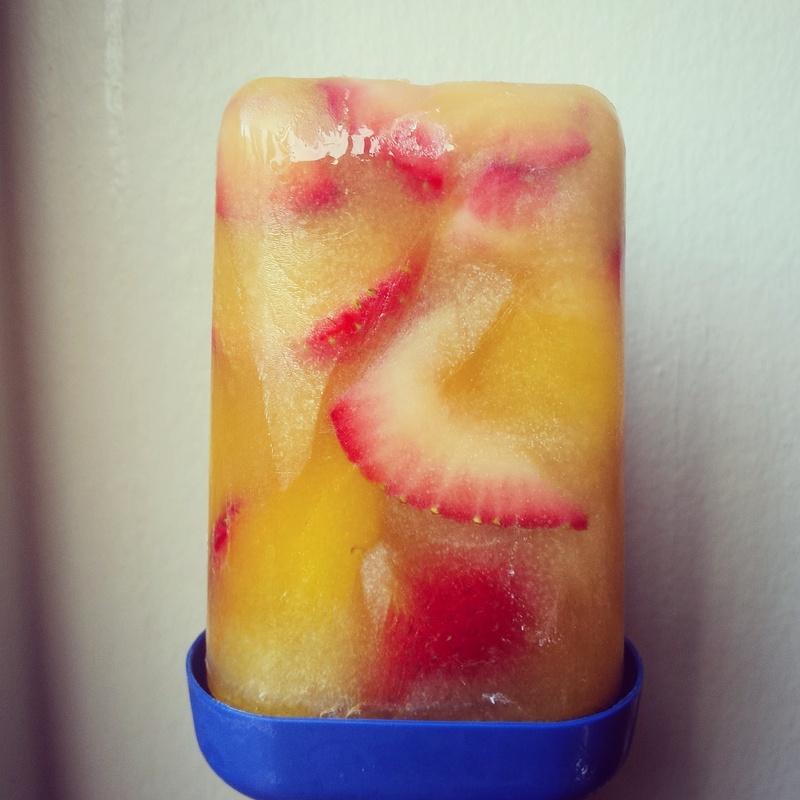 My simple recipe for popsicles: fresh fruit, a bit of juice and that’s it! The key is to mix and match. The one in the photo is sliced strawberries and mango juice. Super delicious! Let me know what combinations you come up with.